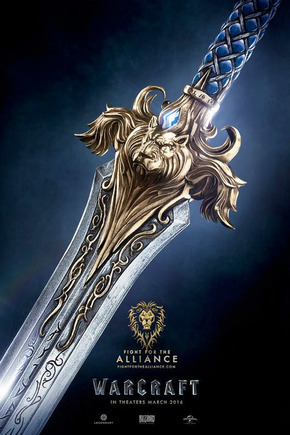 I am deeply honored and excited to have been part of the epic film production WARCRAFT!! I was surprised to be called by the movie’s costume management who are acquainted with the people I did pieces for with Once Upon a Time. They asked me to come in with my portfolio and a mock up of a helmet for the King, as they sent me a diagram of the crown desired. I went to the meeting a couple days later with my portfolio and helmet. I was honored to meet Mayes C Rubio, the costume designer for Avatar! 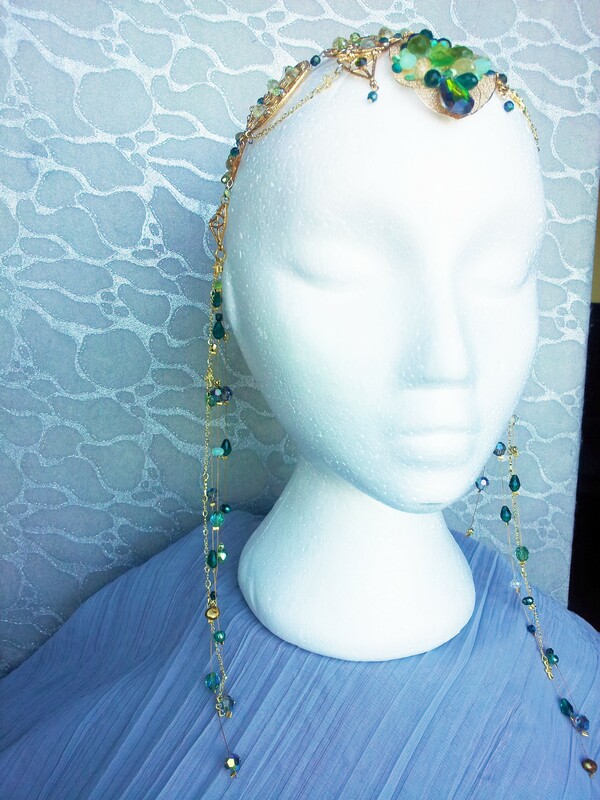 She perused my portfolio and asked if I would like to make accessories for an Elf Princess in Warcraft – her head chains, hair tassels, necklace and pendant, and her chest brooch and belly chains~! Of course I happily agreed! These are the final pictures of the pieces I made for Warcraft. 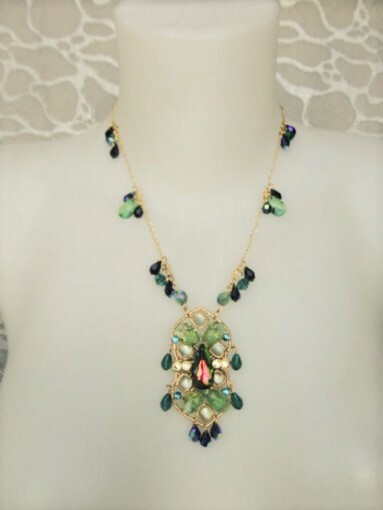 Some of the pictures are of the actress wearing some of the pieces I made. 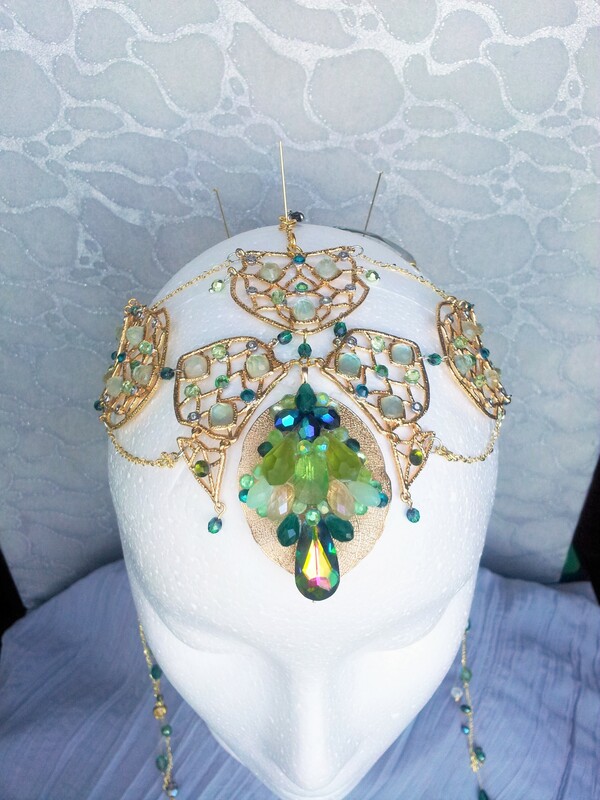 These are the head chains I made for the Elf Princess character. The head chains had hair tassels of crystals and gold chains on both sides of her head – attached at the temples. This is the actress wearing the headchains and the brooch with belly chains. 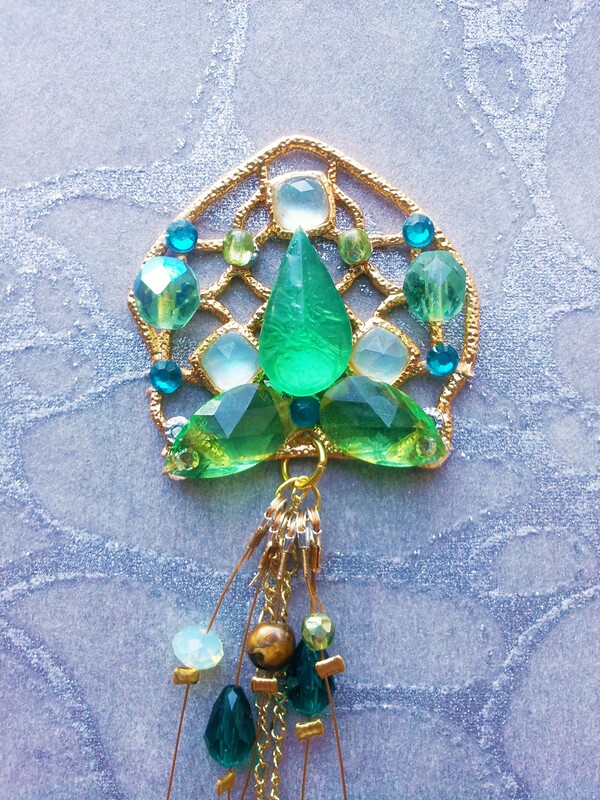 This is a few close up pics of the brooch and bellychains made with crystals and gold chains. 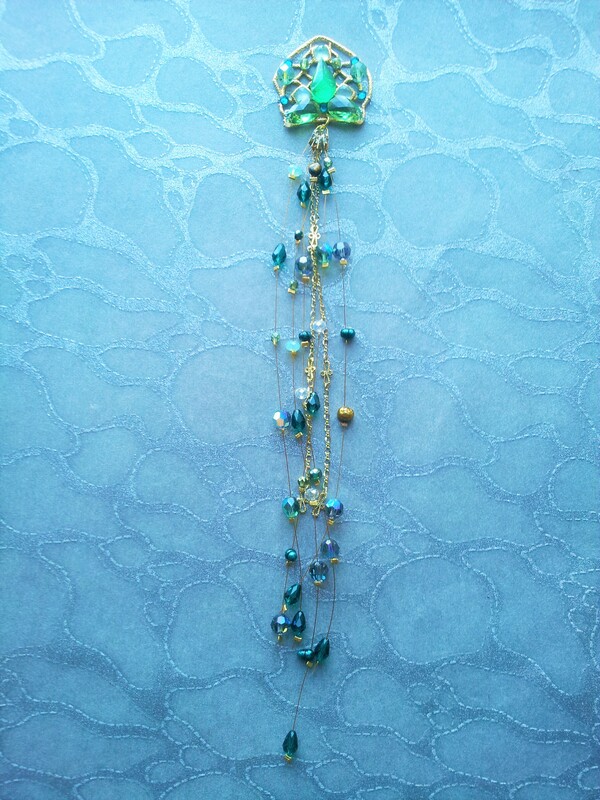 These are pictures of the necklace and pendant I made this character. 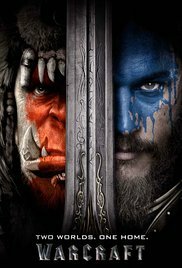 This Elf Princess character was part of The Alliance in the film WARCRAFT. It was as great honour to work under Mayes C Rubio and be part of my first feature film! !